Summer session is the fourth quarter at UCI and is open to all students. 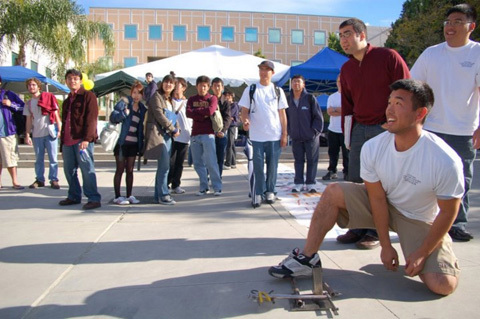 UCI students attend classes in the fall, winter and spring quarters, but often during the summer quarter, return to their home town. This means there is space in our dorms to welcome international students. In fact, summer is the only time of the year that UCI opens enrollment to visiting students. In Summer Session you will live and attend courses with UCI students, other international students and students visiting from other universities. You will receive a UCI transcript that indicates the courses, grades and the number of credits earned, which can be used to assist with the transferring of credits back to your home institution. With a strong wish to acquire further education in the U.S., perhaps you will be confused or perplexed by a great deal of Summer Sessions at present. Would you really like to pay much for just practicing your English or taking a lot of pictures? UC Irvine would be the best choice for your summer section, with the impression of safety, beauty, fresh air and modernity. The UC Irvine and the Orange County area is an exciting place to learn and grow and the office of Summer Session ensures visitors from outside the United States a positive and productive experience. Please refer to the following comparison table between traditional Summer Sessions and the University of California—Irvine (UCI) Summer Sessions strongly recommended by Sesame, and then you will be clear about our Session's characteristics. F-1 Student Visa Keep a good record for going abroad in future. Not obliged to share the campus resources. Share campus resources with students at UCI, such as library and stadium, etc. Parents can contact Sesame Consulting at any time and obtain students learning and living conditions. Students can choose over 840 courses and programs. Our courses are spread across three different sessions varying from six to ten weeks, including evening and online courses, to best accommodate our students. Students can even enroll in two 6-week sessions and take a full semester load over 12 weeks. You also have the option to take an English Conversation and Culture class. This option is for students wishing to improve their English proficiency while participating in Summer Session. 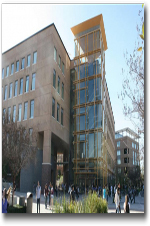 All the courses are college-level courses and taught by UC Irvine faculties. Students will receive UC Irvine course credits and official transcript at the end of session. We recommend students to two courses. We do offer these courses to students.